Lithium, renewable energy, low-cost tourism and the Vaca Muerta shale gas deposit could eventually account for nine percent of GDP, but with an uneven effect on employment. The national government is optimistic about a “silent revolution” in four non-traditional sectors of Argentina’s economy: renewable energy, low-cost air travel and tourism, lithium extraction and the Vaca Muerta shale gas deposit. However, these sectors combined currently represent just six percent of the country’s Gross Domestic Product (GDP), a statistic that rises to around nine percent when factoring in indirect derived economic activity. In direct terms, these sectors employ a total of 1.1 million people, or 5.4 percent of the total formal and informal workforce. But 99 percent of these jobs are in tourism and new employment in emerging energy markets remains low. The drivers of this “silent revolution” have little weight in today’s economy but have shown an unexpected dynamism in recent years, with projects that appear to be moving forward by leaps and bounds. To give one example, Jujuy province has had its longest period of sustained growth as a result of the development in its attractive tourism sector, lithium reserves, and solar energy stemming from high amounts of sunshine. According to a 2015 report by the national Tourism Ministry, low-cost tourism represents 3.8 percent of Argentina’s GDP. This reaches around seven percent when factoring in indirectly derived economic activity. The InverTur consultancy firm told this journalist that changes in the air travel market could create 300,000 new jobs by 2020 and increase the total number of domestic tourists from the current 6.6 million to nine million. “For the first time in 12 years, Argentina has incorporated two new airlines, which are Fly Bondi and Avian, both low-cost. By the end of the year, Norwegian will also be operating (domestically),” Transport Minister Guillermo Dietrich has said. He emphasised that under Macri’s leadership Argentina has authorised 129 new air routes. Ramiro Alem from InverTur agrees, saying low-cost companies will play a key role in increasing the number of domestic tourists. “A trip to Ushuaia costs 10,000 pesos while in Europe a similar journey costs 100 euros,” he noted. On the other hand, there is youth tourism. Sources close to the hotel sector said that 2017 was “disastrous” for many accomodation providers. The government recently launched the RenovAR plan which aims to ensure that eight percent of Argentina’s energy consumption is derived from renewable energy by late 2018. Most specialists agree that this figure is unrealistic. The Energy and Mining Ministry led by Juan José Aranguren claims that the current level of renewable energy consumed per year is at two percent but says it hopes to see Argentina surpass that level this year. “For 2025 we hope to reach the 20 percent laid out in the current legislation,” a ministry spokesperson said. This could be key in reducing Argentina’s commercial deficit which is largely a result of the energy sector. In terms of solar power, the most ambitious project is Cauchari in Jujuy province, the biggest solar farm in South America. “Cuachari generates 300 megawatts, which is 12 times more than Argentina’s current capacity. It has received investments of US$300 million from China”, the Argentine Renewable Energy Chamber’s Marcelo Álvarez explained. Álvarez calculates that this year’s combined investment in wind farms (mainly in Patagonia and southern Buenos Aires province), solar energy (in the Cuyo region) and biomass will total US$3 billion. Furthermore, tendered projects under the RenovAR plan have secured investments of US$6.3 billion. But some in the sector are cautious about major changes in the country’s energy system. “The announced investments represent half of what has been invested in Vaca Muerta”, said Luciano Codeseira from tho consultancy firm HUB Energy who is also pessimistic about the prospect of new jobs being created in the sector. “This (new employment) will be limited to installation and maintenance,” he warned. Lithium is a key material in the manufacturing of electric vehicles. 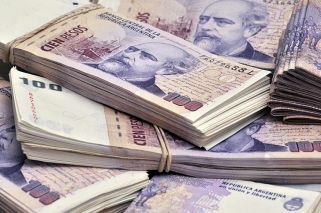 Argentina has the potential to create huge wealth from extraction projects in Jujuy, Salta and Catamarca provinces. “Lithium has created 500 jobs and in an optimistic forecast it could create 3,400,” ABECEB energy expert Javier Cao’s explained. However, CONICET researcher Bruno Fornillo warns that Argentina risks spoiling a big opportunity by limiting itself to lithium carbonate extraction projects instead of aiming for broader industrialisation. “We exports our raw material and we don’t even receive benefits in terms of tax collection. 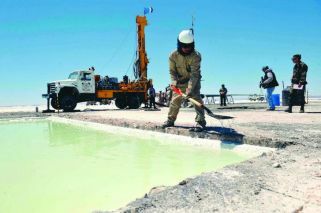 What’s more, lithium mining does not generate that much employment,” Fornillo said. The president of Jujuy’s Lithium Insistite Héctor Simone explained that his province is working in three stages of development and that its aim is to create batteries and cells to boost local and foreign investments. “We hope that in the next few years we can secure investments of between US$8 billion and US$10 billion,” US specialist Amanda Kupchella from Wood MacKenzie explained. For his part, Jorge Vasconcellos from IERAL said that during 2017’s last quarter the perforation of wells grew 152 percent. While employment (currently 5,000 direct jobs) and production at Vaca Muerta have increased, the forecasts are not as optimistic as they once were. “To think that Vaca Muerta could account for 10 percent of GDP, as some people had claimed at one point, is ridiculous,” one consultant noted. Tourism, meanwhile, is set to be one of the strongest sectors of the global economy in the coming years as many analysts predict a future of leisure. For that reason, both the government and the private sector are hoping that tourism becomes a key area for employment growth. “This is a sector based on unique experiences, which is why it involves non-repetitive work that cannot be easily robotised”, human resource expert Alejandro Melamed said.